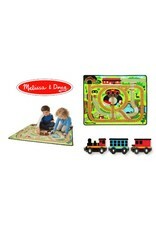 All aboard for some railroad adventures with this sturdy, colorful train rug! 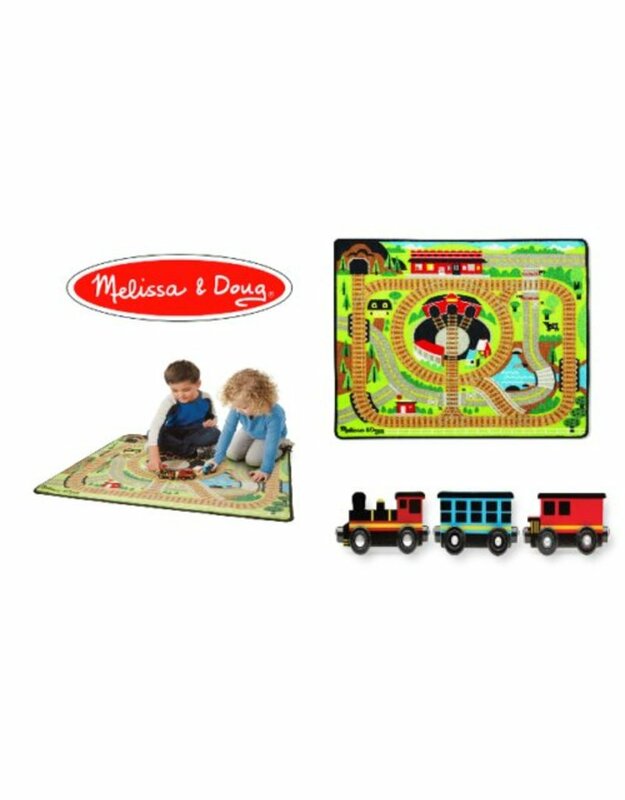 Durably made to look great for countless play-times to come, the woven rug with a skid-proof backing comes with three connectable wooden train cars and features details like tracks, a train station, switching yard, roads, railroad crossings, and more to accommodate all kinds of vehicles, play people, and more! With this rug, there are lots of ways to learn and play.